This is a charming and humorous story about a baby crocodile that was separated from his mother and the circus to which they both belonged. Crocky made his home under a bridge in the river near a small town. There he became a sweet-eating crocodile and eventually one with a big hole in one of his front teeth! With the help of the army, navy and airforce, Crocky is at last flown into the dentist’s surgery to have the hole in his tooth filled. And no more sweets for Crocky! Th book is beautifully illustrated by Penny Simpson in two colours. 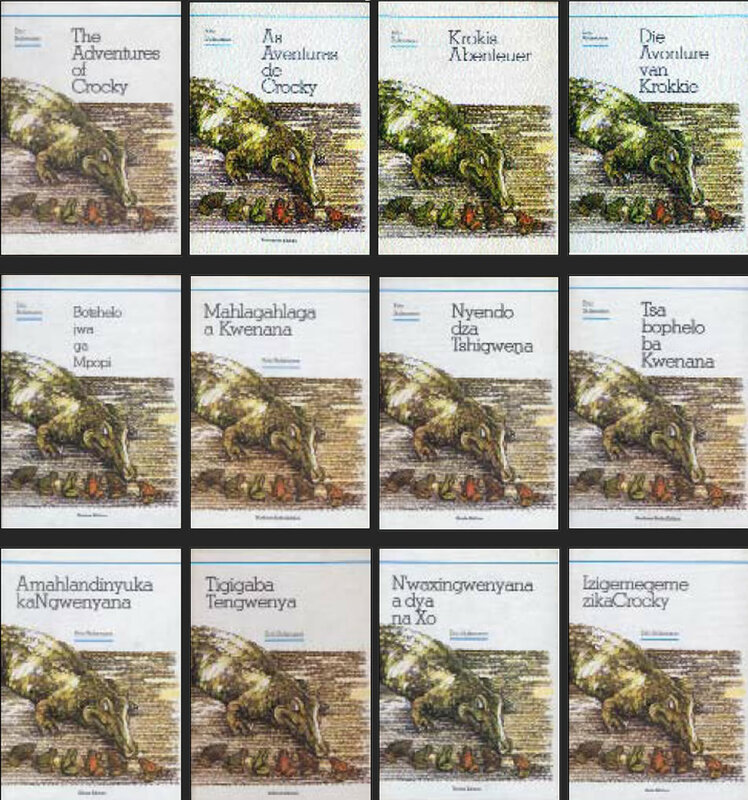 The Adventures of Crocky was published by in hard-cover by Juventus in co-production with De Jager-HAUM Publishers in Pretoria in English, Afrikaans, German, Portuguese, Northern-Sotho, Southern-Sotho, Tsonga, Tswana, Si-Siwati, Venda, Xhosa and Zulu in 1981. Several soft cover editions followed.